Transformers. They have been around for a long time! I remember my brothers collecting them and turning them from robot to car. Today they are even bigger with the blockbuster movies. Even I get into the action-packed fun! Do your kids watch the Transformers Prime cartoon? When a fearsome new faction of Beast Transformers appear on Earth, the Autobots must become Beast Hunters to fight them! A whole new line of Transformers is emerging and Hasbro creates all the toys to go along with it. 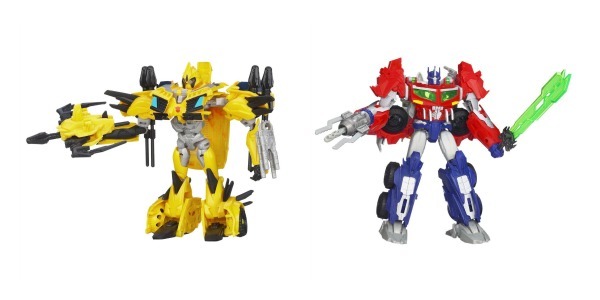 You can find Transformers Prime Beast Hunters Deluxe Assortment with your favorites like Bumblebee. In the Transformers Prime Beast Hunters Voyager Class Assortment you’ll find Optimus Prime and more. And what we just reviewed…the Kre-O Transformers Beast Hunters Ripclaw Building Set. With the 199 bricks and other construction pieces in this set, you can build a fierce robot or an incredible, winged dragon! Send your robot into battle against your Ripclaw or Col. Daniel Witwicky Kreon figures. When the tide of battle turns, destroy your robot and build a dragon! Keep building and rebuilding for epic Transformers action! My boys loooooove building. Add in Transformer dragons and they are super happy! They did an excellent job of working together to build this toy. I was very proud! Check out the Transformer website with your kids ~ they will enjoy it! Win the Kre-O Transformers Beast Hunters Building Set! Disclaimer: I am part of the Mom It Forward blogger network. Mom It Forward and Hasbro partnered in support of this campaign. Hasbro compensated me for participation in this campaign. However, all thoughts and opinions are my own. This giveaway will end on April 17, 2012 at midnight EST. Winners will be drawn via rafflecopter. Once a winner is drawn I will contact them and they will have 48 hours to reply before I draw a new winner. Giveaway is open to anyone in the US and you must be 18 years of age or older. Giveaway not affiliated with Facebook & I release them of liability. Winner will be posted in the rafflecopter widget. 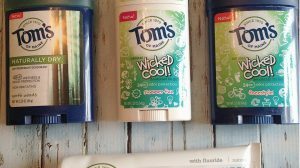 Tom’s of Maine + Target’s Made to Matter = 10 Winner Giveaway! The toys look so cool and I know little man would love them! My son will love it!!! I love them because they're unique and transform. They keep my grandson very entertained! Because my grandson loves them! I love anything transformers cuz it makes my grandson happy. I love them, because they help my kids use their imaginations while playing. These are more than meets the eye!! Lol loved transformers as a kid! Even tho they were "for boys" I thot they were cool! My great nephew loves Transformers, & his little brother likes dinosaures, so the dragons would make them both happy! I gave him 2 transformers that I had in the attic that had been my boys in the 80's. I love that my grandsons love them and they keep them entertained! My son love to play with them for hours. I love how they keep my nephews so entertained for hours. Because my son would love them! Loves transformers! I haven't seen this toy before, I think my nephews would love them! Like transformers, cause the kids like them so much. Because it would mean a LONG and QUIET evening while my son is completely occupied in something he loves to do. Transformers keep my son busy playing for hours! Thanks! My son loves everything Transformers. I like them because it brings out his imagination. I love them because they keep my kids occupied for hours. keeps my kids with creative playing and using their imaginations and off the electronics for a while. Because my grandson likes them! He can really use his imagination when he plays with them. Its transformers! My sons go crazy for them! I love toys that get the kids creative juices and imagination kicked in! 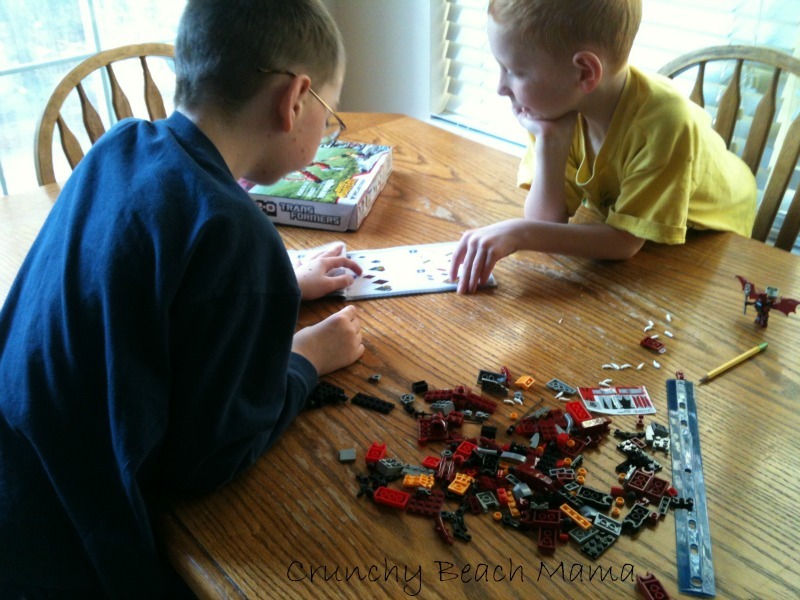 I like them because they are fun and challenging for my boys. I love them because the kids love to play with them. My son loves them....will play for hours! I don't but my grandson does!! My son loves transformers! He will build/transform them over and over again. It keeps him busy!!! Because they are fun, imagintive play for kids! My little guy loves watching transformers so he'd have a blast with them! my 5 year old loves anything transformers. i love to make him happy! because they are so much fun! The twin 4 year old boys I babysit love building things & anything associated with monsters/beasts/dinosaurs :) Thank you. I like them because they keep my son busy for a long time. When I was younger I would steal my brother's transformers. I loved how I could make two things out of one toy. I love the creativity they bring! my son loves them and they keeop him occupied, so I love them for that! I love how they transform! I think it really helps the kids with their hand dexterity! Great for their imagination too! that they transform, 2 toys in one! Nephew loves bumblebee & I love the sheer power & force of optimus prime. Both of my sons love transformer toys. I love them because they're like getting 2 toys in 1 and the creatures look really cool, my boys would love them. My grandson loves all things transformers, they really get his imagination going! Would be some great mom/son time!! I love that they are something different than the traditional transformation into a vehicle and that they transform into an animal/beast of some sort. I think that they look really cool and fun - my little brother would love them! We love them because you can transport them anywhere! I love them because they are very durable and they spark imagination! They are awesome toys for boys to use their imagination. They keep my son busy for hours! I used to have some when I was younger. Now they're back! 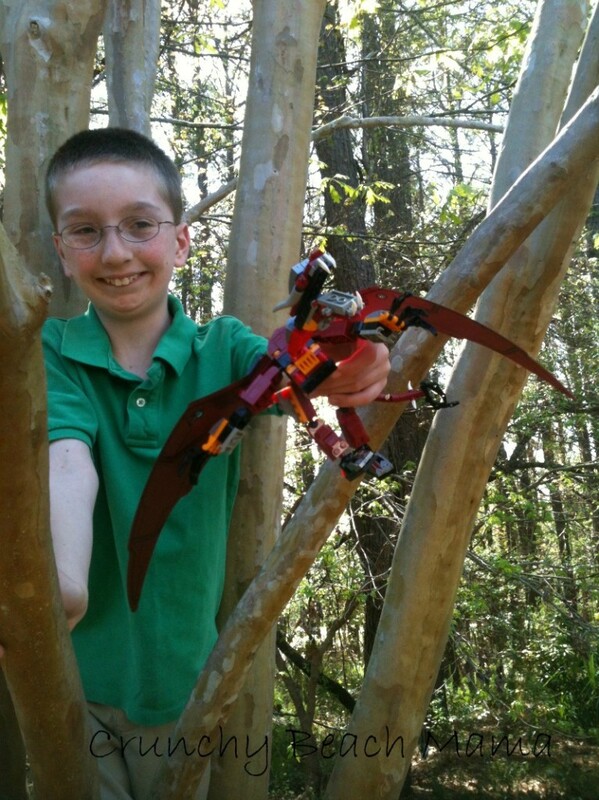 I love Transformers Prime Beast Hunters toys because they give my son so much joy. :-) Thank you. I love them because my boys do! I love them because they keep my son entertained. They are so easy to take on the road, and they let your child use their imagination rather than sitting in front of a computer all day! We don't currently have any of these toys. I know my son would love them, though, because he loves building toys! They look like they would keep my grandson and probably my granddaughter busy for hours! I like that there are no super small parts. They just look fun, very detailed. My grandson likes robots/mechanical toys that have a lot of detail and this fits the bill. My son loves building and playing with Transformers so this set would be great for him. I like that it comes with so many pieces. Because my nephew enjoys them and they are very fun to play with. My husband and I both grew up watching Transformers & our son is REALLY into them as well! We love watching the old cartoons, and anything transformers for us is awesome! They remind me of my childhood.